Zion Canyon has 2,000feet cliffs, the biggest wall in ZNP, Utah. People visit the state from all over the world to climb these big walls as it is one of the famous multi-pitch free-climbing destinations in the United States of America. The ZNP offers a several number of Grade IV climbs are available for beginners and intermediate level climbers. These climbs are about 800-1,500feet, but the big walls are recommended only for experienced climbers because they are difficult to climb for inexperienced hikers. The ZNP has several sports climbing and top-roping areas as well. People of all age groups can enjoy the trip as Zion National Park has several interesting adventures and activities. The best time to climb big walls is between March and May, and between September and early November. Plan it properly if you are visiting Zion in hot summer months because the summer will be very hot, the temperatures rise around 100 degrees and the walls will be very hot to climb particularly at no shade areas. The main canyon has access for two Bouldering areas. The first entrance is at south it’s about 40yards from the west, the boulder is as big as a house and it offers several options and also causes a lot of problems. The other entrance is about 0.5miles north of the south entrance. On west, you can see the Drilled Pocket Boulder and this slab has a crack facing south. For day climb, the permit is not required, but if you are planning to stay overnight, then the permit is compulsory. Visit the official website for more information. All Climbs at Zion Canyon offers excitement and experience, and the big walls can help you overcome your fears with its challenging climbs. Visit the park not just for climbs, but also for several other activities. Make your trip most memorable climbing the most exciting climbs at Zion. 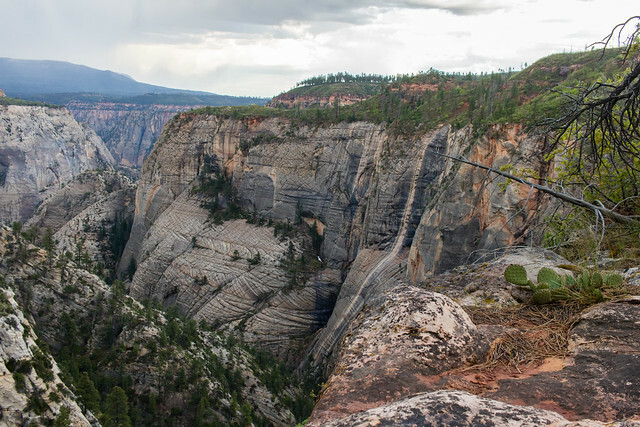 Zion National Park is popular for having some of the best places in hiking across the world. Inconceivable vistas are flanked by huge canyon walls. However, little is known of the unbelievable biking in Zion that is made available. As a matter of fact, great steps have been taken to ensure of the biking friendliness. One may take on several routes, I will however tell of the wonderful route that i experienced. I embarked on the Zion’s route by biking just next to the park’s entrance at the Pa’Rus trail which goes right past the camping grounds. The Pa’Rus trail provides a great ride for anybody in spite of the skills in biking. You will ride along the Virgin River, crossing a number of bridges that gives an inspiring view of the stunning river below. It is just like a leisure ride and not steep where young ones can take on. I particularly liked this part of the trail that I had even expected, the views, the bridges, meadows you ride through which all make up the unforgettable Zion’s experience. Further riding up to the Pa’Rus trail will ultimately lead you beneath a bridge before climbing back to the main road at the end of the trail. It is at this point that you will need to make a decision; either to jump on the bus system and ride to the top or to take up the challenge of riding up through Zion. All the buses have got bike racks on them and you can therefore take the easy way out and ride on them. In case you feel adventurous for just a little while and you would like to earn an adrenaline-charged ride down, ensure to take the somewhat harder route and ride your bike up without having to take a bus. By so doing, it will be possible to view the canyon in such a manner that others can probably not. It will be possible to ride along with your neck strained from viewing the beautiful walls of the canyon that look so amazing. It would also be possible to see them on the way down, on the way down however, your concern will be not to wreck by moving too fast in order to be able to get absorbed in the view. Just before reaching the lodge is one of my favorite places along the way. As I rode up, I soon noticed that the road had a covering of massive cottonwood trees which gave a little shade and a quiet feeling just before the storm. This could be the contrast from the views that were wide open of the Virgin River as well as the Great White Throne. It also gives an intimate feeling of the trees that stood guard as I rode up towards the canyon. As one goes past the drop off area for hiking Angels Landing, one is soon welcomed by a different part of the Canyon offering an exceptional feel and view. Hitting the ‘big bend’ will make you have a hard time by not resting for some time in the views here. You are however almost at the top part, so don’t give up as yet. Before reaching at the top and the narrow’s starting point (where the busses drop riders), you will find a little waterfall off to the side that you really need to go and view. A deck is built which allows one to easily have accessibility in going up to see the waterfall that is very stunning. Upon reaching the top, you will earn an enjoyable ride right back to the Canyon. It was a very beautiful ride. However, there is just a little strenuous peddling that is needed from here and out. You need to be very careful though since you can get significant speeds as you go back downhill. This is just a good ride to end it with astounding speed down the mountain. This is how one can go biking at Zion’s top. Even if one can take on other routes, this is one of the most straightforward one; very rewarding as evident. Utah offers the best hiking spots in the United States. If you are a passionate individual who likes to hike in hot temperatures, then Utah is the right place that offers Arches National Park, Zion National Park and the famous Bryce Canyon National park to one and all. These three parks are unique and different geological structures which are distinct in their own ways. 1. Utah offers the highest mountain top, you can happily hike 13,000 foot mountaintop and enjoy watching dense pine forests and the beautiful alpine lakes from that distance. You can also trek in water stream at mystical desert canyon, and also you get to see sporadic swim breaks under spectacular waterfalls, walking on the natural bridges and thinking about the famous Anasazi who lived in this place nearly a thousand years ago. 2. You can find thousands of miles of trails in the entire land of Utah. Some trails offer the most rugged trials, which suites for multi-day backpackers. Not just that, you can also find several loops and outback trials, which you can finish it in just a few hours, are it just takes one full day. You can also get guide books and browse through the websites for more information including hikes complexity ratings, cautionary advice and descriptions. 3. You should also consider the best season for hiking, only in certain seasons you can climb top of the mountains and you can enjoy your desert hiking experience. 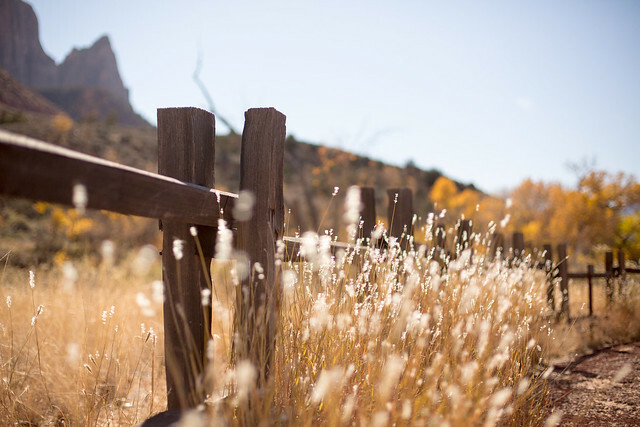 70 percent of land in Utah is public-land. The states offers 5 National Parks, 9 million acers of National Forests and National Recreation Areas and National Monuments occupied millions of acres. And the Bureau of Land Management manages 42 percent of Utah. Altogether offers incredible choices for best hiking trails, which take complete lifetime to complete the trails. Conclusion: No matter where you choose to hike, you should be cautious at all the time. The vital step is, do not hike alone, join a group of hikers or hike with friends or a family but never hike alone. Carry lot of water and keep dehydrated throughout the trial. Also carry some energy bars for instant energy while hiking. The important thing is have fun, be safe and have a rewarding experience. Browse the website for more information. Plan a trip with your friends and family in winter to Zion for a little adventure and challenging experience. Sometimes the park will be closed during peak winter season, therefore, consult the park authorities before planning a trip in winter. And make your trip the most exciting and memorable. Nowadays planning a trip is easy, if everyone in the group work their schedules, then pick the perfect date for your trip, and make arrangements, isn’t it simple! The hiking trip is more fun when you go with a large group, especially when you are looking forward to spending quality time with your closed ones, this kind of trips help you bond together along with fantastic adventures and fun. Imlay and Heap’s canyons are the best choices to make your trip most exciting and memorable. If you are traveling with kids, then make sure to take them to their favorite swimming hole in Zion for loads of fun and tan. To reach Imlay, drive to lava point and take a 5mile walk to reach the Potato Hallow, it is better to start early to reach this spot. Here, you will find the drop and first rap. Some reports are very contradictory about Imlay, but, when you see it yourself then you will see totally different from the reports, the Imlay is in fact very remarkable. You will enjoy few fun raps and a range of gorgeous canyon and enjoy the exciting canyoneering. It takes minimum 10hrs to reach the last rap of Imlay. 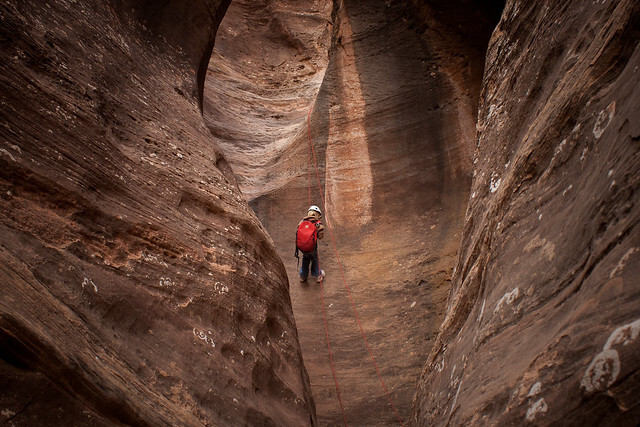 The experts recommend to canyoneering Imlay from the top. Also, you will enjoy the sneak route and full water route from the top to the end. Some people believe that Canyons are for unsuccessful rock climbers, but, it is not true at all, only when you climb canyons you will know what you will miss if you didn’t try it. Canyons are fun and different in their own prospect. Start early to reach Heaps; if you don’t like the shuttle ride to lava point, then from Grotto also you can reach Heaps. When you are canyoneering with friends and family, it is always best to start early, you know the odds. However, heaps have some of the best water sections, they are full and cold, and you can take a swim in keeper holes. But, you may need heavy suit to keep your warm. Heap looks gorgeous from the top of pristine and less crowded Phantom Valley. It is also famous for its sandy corridors, the last rappel hanging on 300inch and 9mm cord. Heaps is a gorgeous canyon, which attracts many visitors, the cold waters add more fun to your trip to heaps. Heaps/Imlay is different from other canyons in Zion National Park, and they definitely need a special introduction. Imlay and Heaps both have inspiring and challenging character. Inspiring because of the carved stone, dark hallways and profound pools offer a thrilling experience, which you will experience a little in other canyons. Challenging because of its an unremitting flow of water along with harsh pothole exits and a level of tough single giant leap superior to other canyons in Zion.